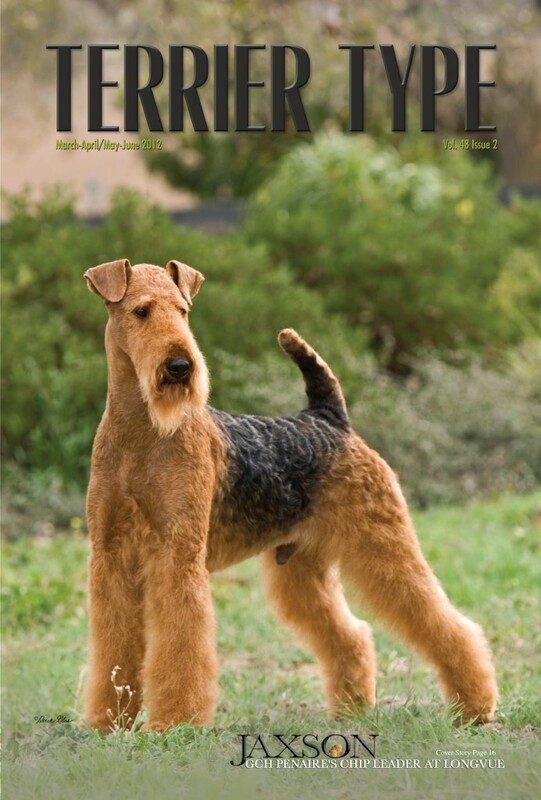 Below you will find the past and present dog show catalog and magazine advertising for Penaire Airedale Terriers. Please click on any image to see it full size. 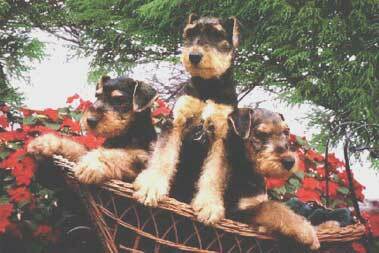 SECOND PENINSULA – Joan Clarke wasn’t searching for a show dog when she acquired her first Airedale Terrier in 1987. 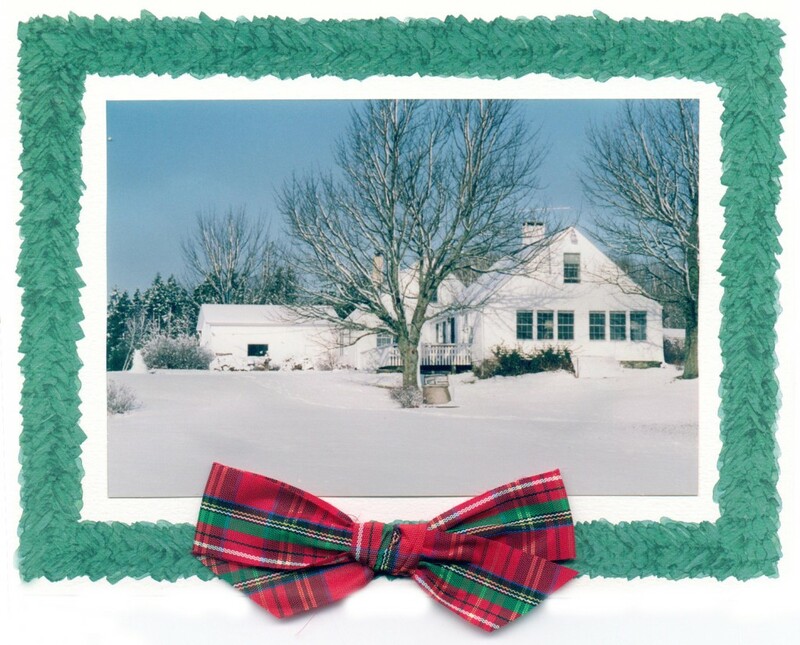 But the Halifax native, who now divides her time between homes in Texas and Second Peninsula, was intent on having that breed. 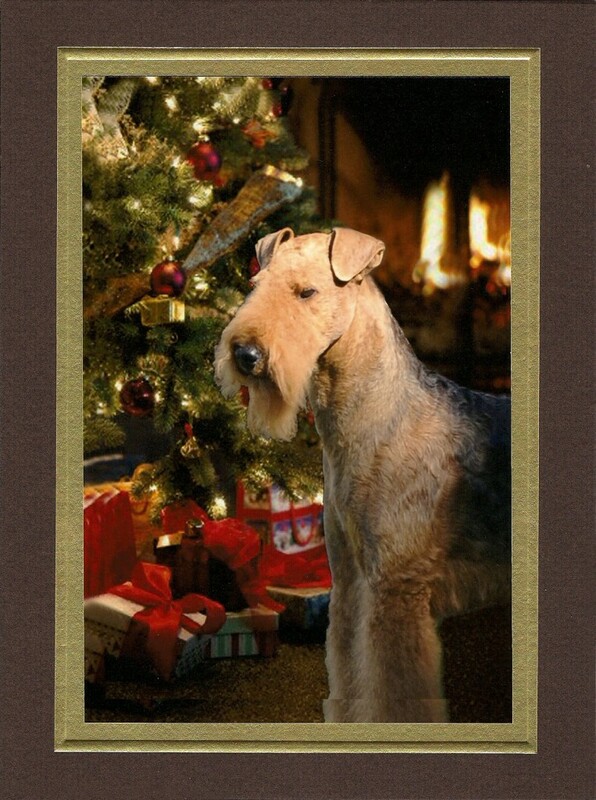 “I’d always wanted an Airedale,” Mrs. Clarke says from a seat in the spacious living area of the family’s eight-acre estate. “I liked their stoic presence.” However, it had always been her children, now grown, and husband who had made the choice of family pets. 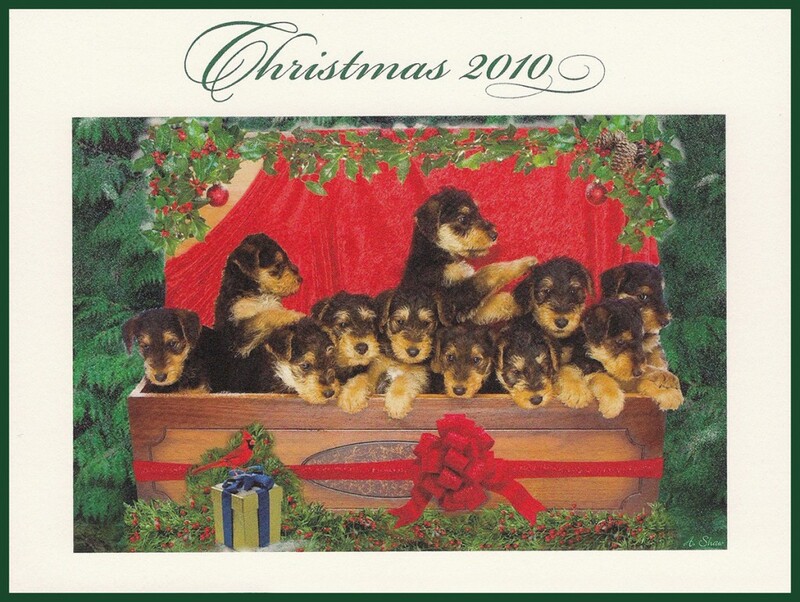 And they always chose Gordon Setters. 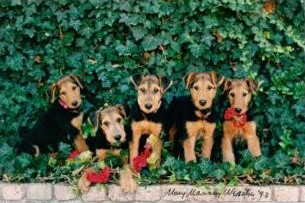 When the family’s third setter, Duncan, was tragically killed in an accident and the children asked for another dog, Mrs. Clarke announced it was her turn to pick. 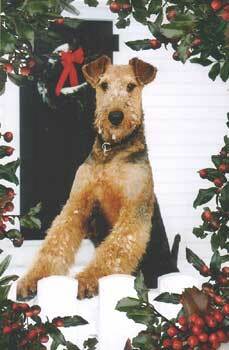 But finding an Airedale turned out to be no easy task. 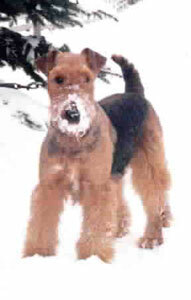 She ended up contacting the national Airedale Club, which put her in touch with a breeder near her home in Fort Worth. “He had a litter but didn’t know if he had a pet,” recalls Mrs. Clarke, who, to that point, had never taken much interest in the difference. Still, she persisted until he gave in. 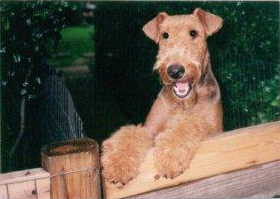 It turned out that first Airedale, Tex, was “just a pet,” not a show dog, and Mrs. Clarke realized she was disappointed. 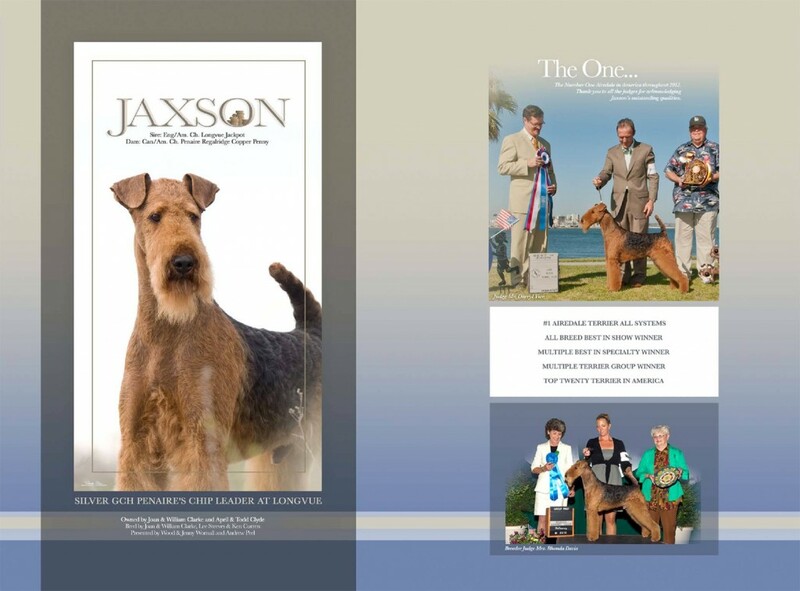 She then acquired Sadie, a second dog to keep Tex company, and decided to breed her with the then-top dog in the United States. 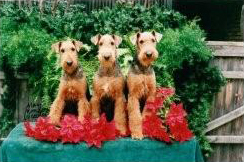 The result was Annie, Mrs. Clarke’s first champion. And so began a hobby, slash obsession, that continues to this day. 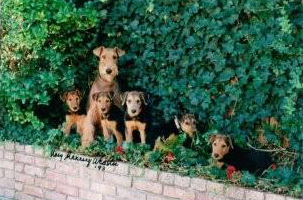 Annie, now retired was not able to breed, so Mrs. Clarke got Kristina, who gave birth to Dallas Star. 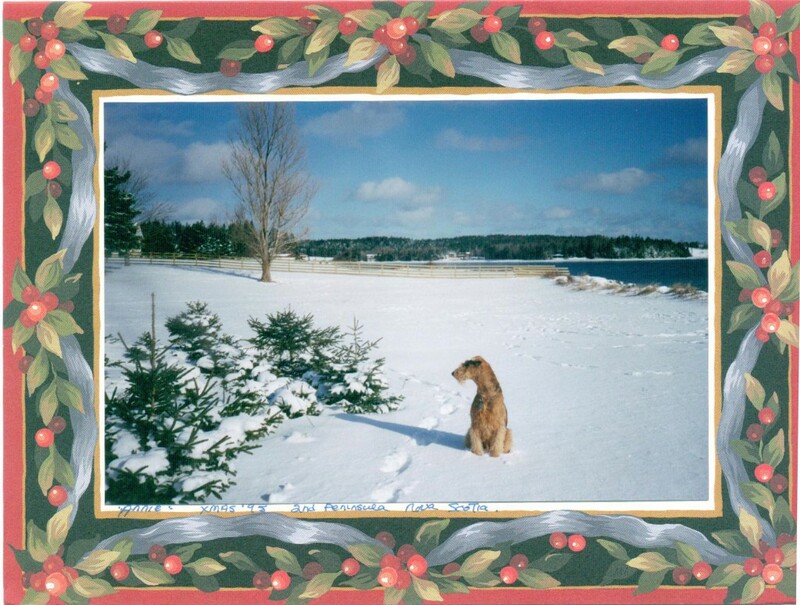 Named almost prophetically for the now Stanley Cup champion hockey team, Dallas is Mrs. Clarke’s current champion. But she’s also watching eight-month-old Naomi for the signs she could compete. 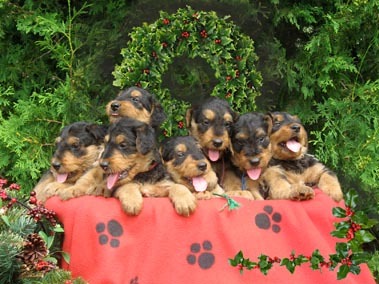 You see, you can’t make a show dog, explains Mrs. Clarke. 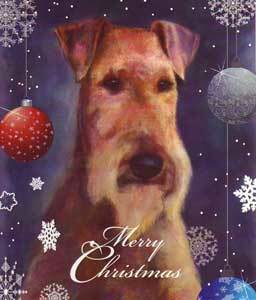 Training and grooming are all for naught if a dog does not have the basic physical attributes or temperament. 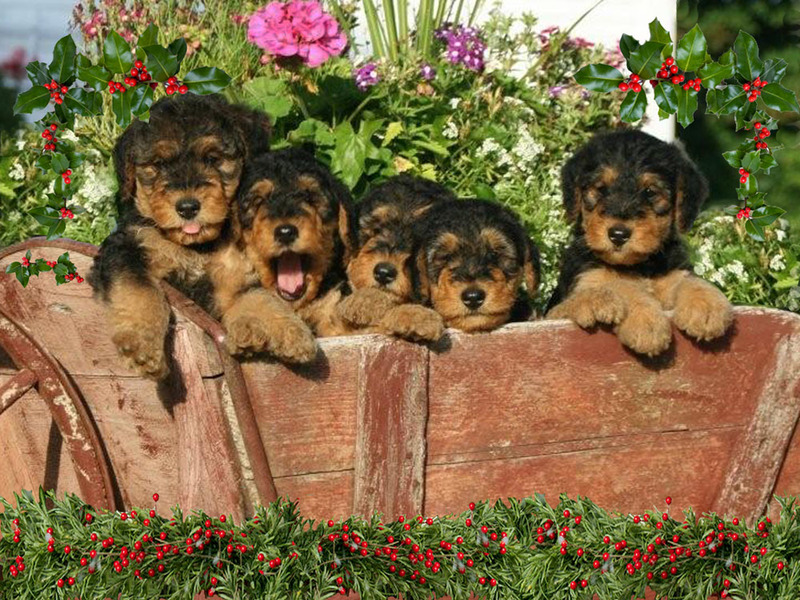 For Airedales, this includes a strong stance, good movement, inquisitiveness, alertness and expression – qualities that are apparently observable as early as eight weeks. 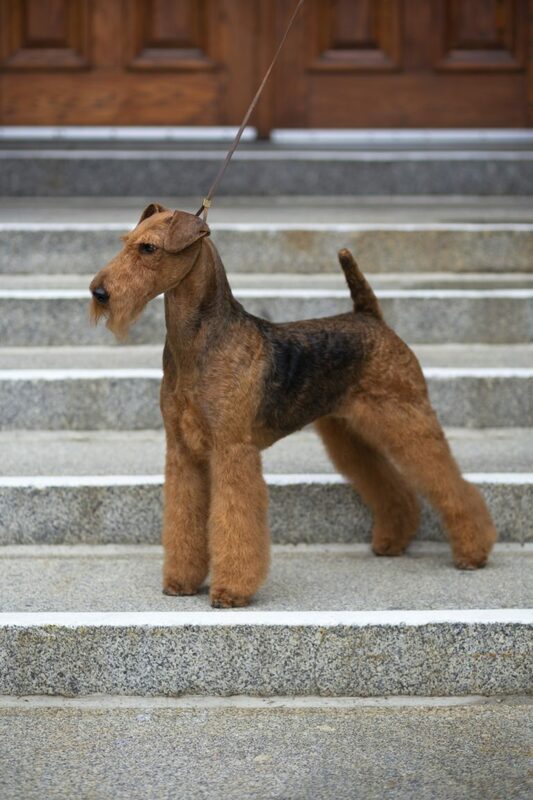 While many dogs owners hire professionals to do this grooming, for Mrs. Clarke it’s all part of the challenge. “Sometimes I mess up,” she says, but her husband Bill says she’s also received many compliments from top groomers. This summer, she’s taken on a local assistant, whom she’s currently training. On show days, Mrs. Clarke is often up at 5 a.m. She likes to be a the show place at least two hours before showing and the dog needs to be washed, exercised and pottied. “I’m never relaxed because you always go out to win,” she says. 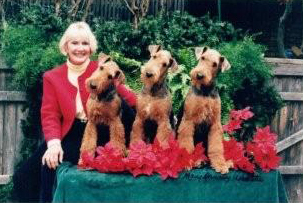 Mrs. Clarke and her dogs have competed in shows all over North America, from the local South Shore Kennel Club event in Lunenburg to the giant Westminster show held in New York’s Madison Square Gardens. As to her own reasons for competing, Mrs. Clarke says it’s a combination of her desire to stay busy and the pride she can take in her dogs. A winning dog “just doesn’t happen.” “You have to work on it,” she says. “It takes a special person to make this kind of commitment,” adds Mr. Clarke. 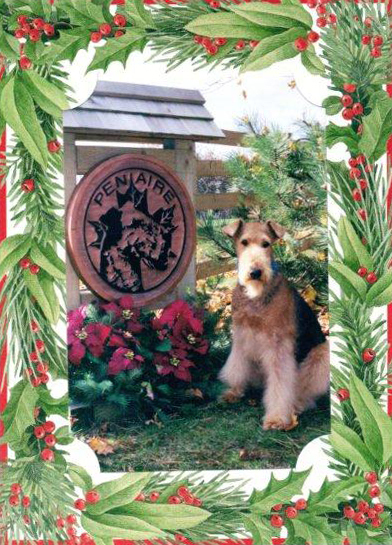 In addition to showing her Airedales, Mrs. Clarke is also a member of Paws Across America, an organization that screens, trains and certifies registered therapy dogs for “visitations” with seniors, special education students, chronic care and psychiatric patients. “My dogs never did tricks so they’re not very exciting to children,” she explains. “But they’re popular with the elderly.” She also remembers one psychiatric patient who liked to brush her dogs’ teeth. “He had lost all his self-confidence and I would encourage him and tell him what a good job he was doing,” she recalls. 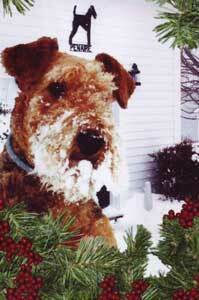 Other people simply enjoy petting the animals or sharing stories about their own former pets. 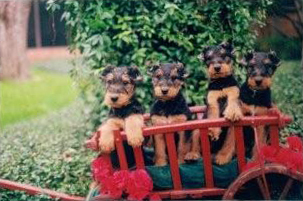 Mrs. Clarke admits she must treat her show dogs differently than she does her dogs that are pets, and she does have both. For instance, “a show dog can’t be spoiled,” she says. “If you let them come in (to the house) and get comfy, it’s no treat to go to a show.” Still, they receive lots of attention, walks and love.